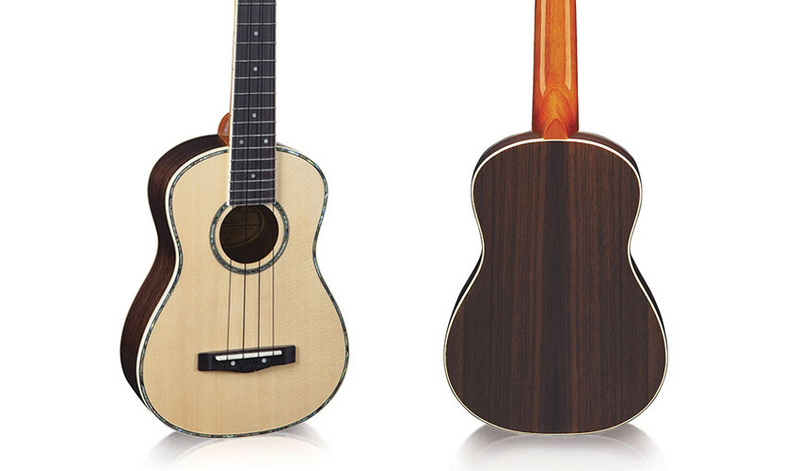 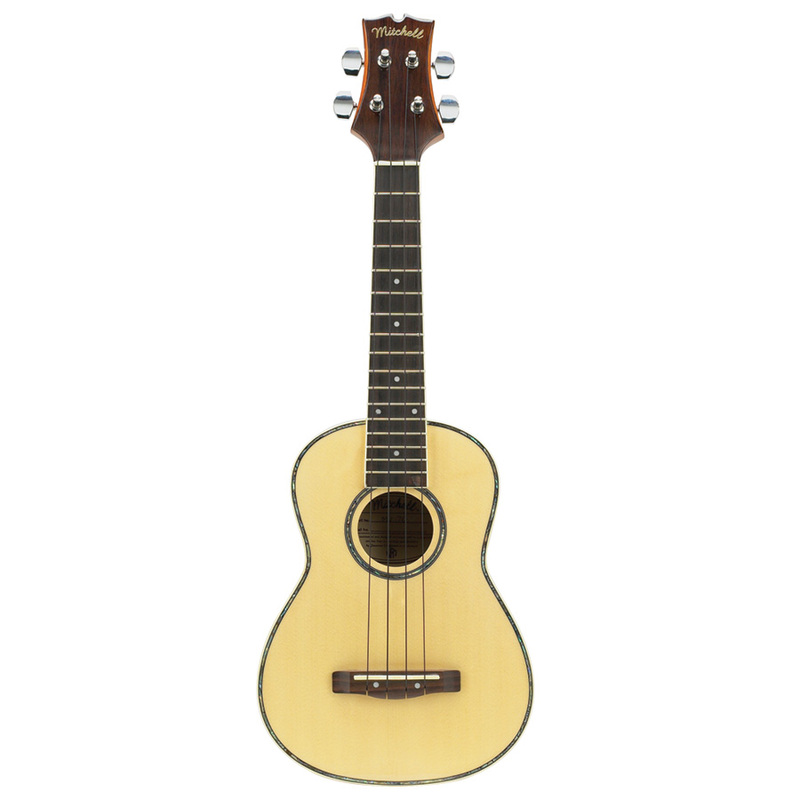 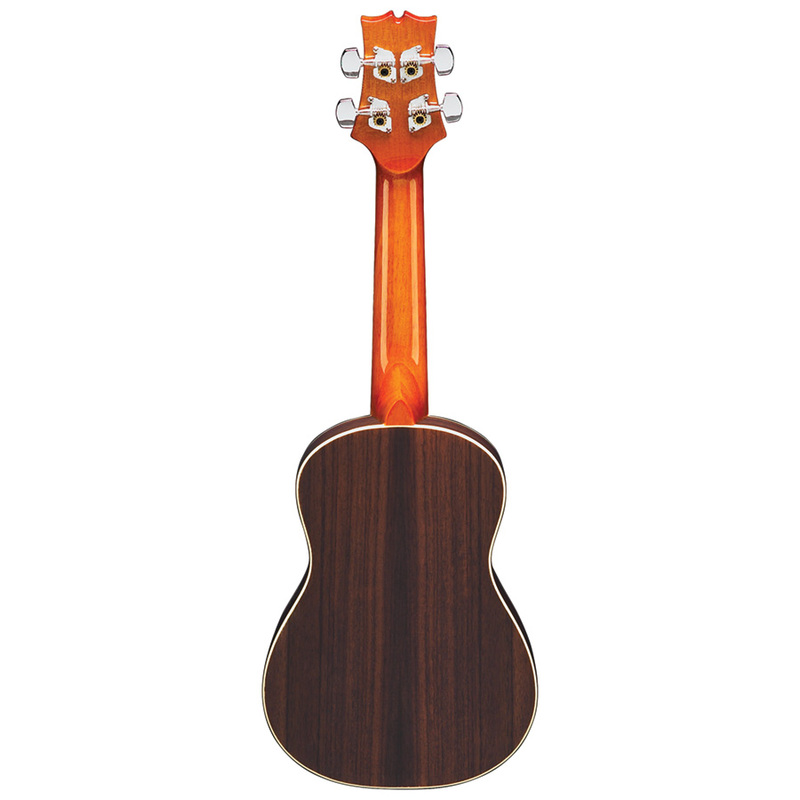 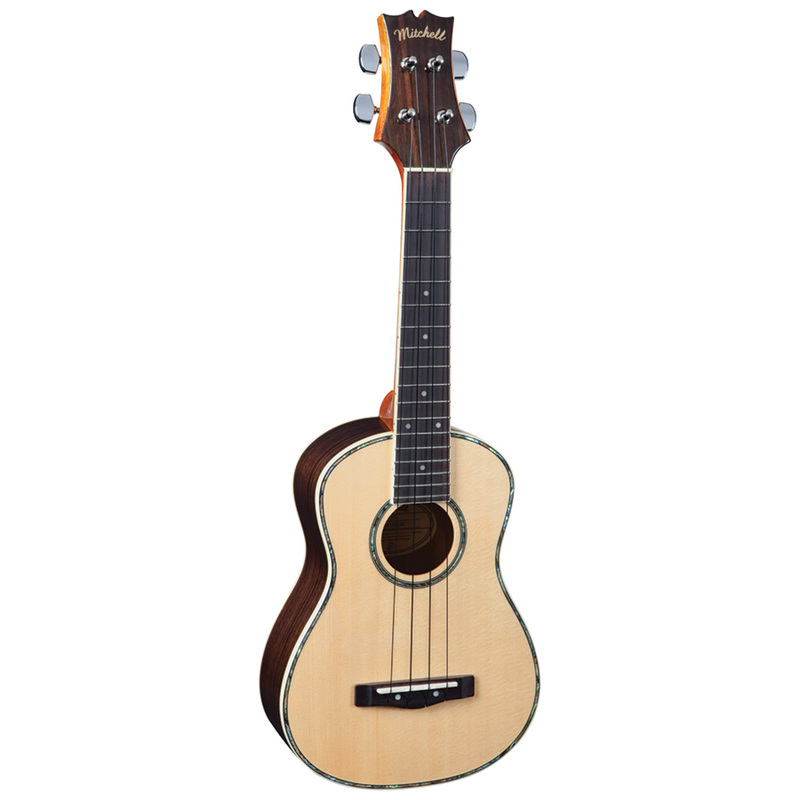 The Mitchell MU70 ukulele is a great sounding concert ukulele with a spruce top and rosewood back/sides. 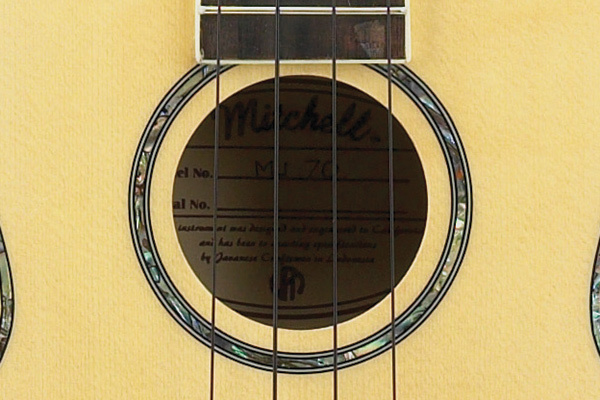 Its abalone rosette and purfling give it timeless style to match its warm, articulate sound. 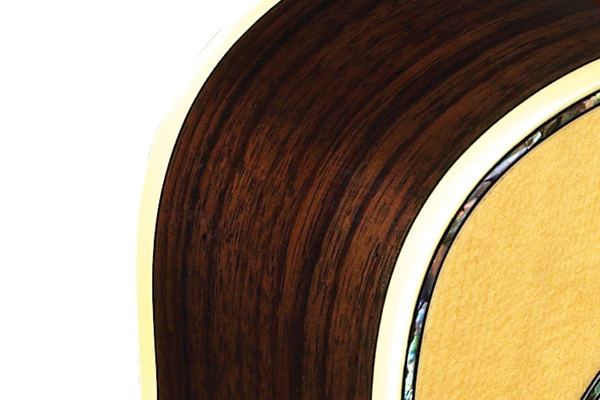 Spruce top with genuine abalone inlay. 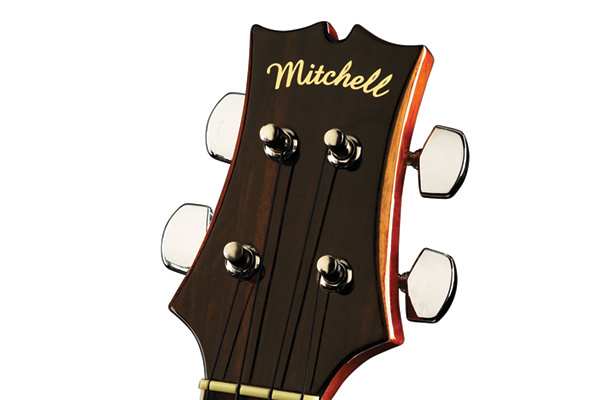 Distinctive beveled-edged headstock with Rosewood overlay. 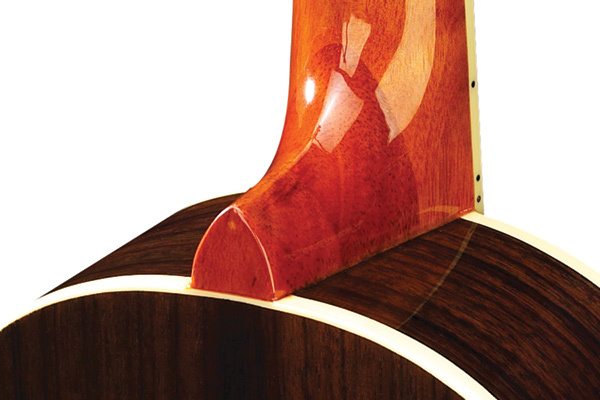 Rosewood back and sides and mahogany neck.